11.5"Dia. x 1.5"T or 11.5"Dia. 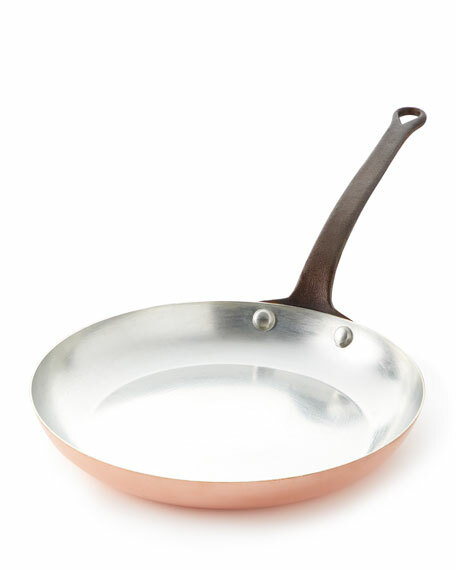 x 1.75"T.
Solid copper, tin lining and cast iron handles.